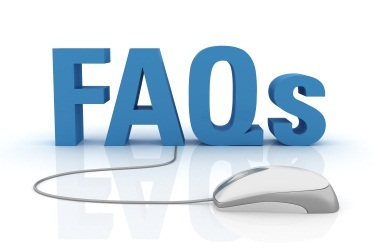 Your Most Frequently Asked Questions…Answered! March 7, 2012 By Paula 66 Comments This post may contain affiliate links. The one thing that we have found since we started this website is that we seem to get the same questions asked time and time again. These were the same questions we used to ask when we were struggling to make it. Now I can see how futile those questions were but back then we just wanted answers. We knew that something was holding us back. Was it the keywords we chose? Did we choose the right niche? Was there a better niche that we could have gone with? How long should it take for our keywords to rank? How long before we can start seeing the money come in? Basically what we wanted to know was – what were we doing wrong? I even remember that we sent an email to James Martell (our mentor at the time) with that very same question. We know now that what we were doing wrong was that we were providing very little value. We had plenty of traffic at the time but when our readers arrived at our site, they didn’t stay for very long because what we had to provide wasn’t worth reading. When we finally had that sorted out, we were on our way and many of the questions we had also disappeared. We no longer needed to ask them because we had finally figured it out. 1. Choose quality products to promote. 2. Write excellent reviews that are extremely helpful to the reader. 3. Get traffic to your site – and yes that means backlinking. That’s it! There’s nothing special about it but for some reason everyone (including us in the past) gets caught up in all the little things and getting caught up in the little things is what is going to set you back time and time again because it usually involves a whole lot of time wasting. The analysis factor during the period when you are trying to make it is huge. What I mean by that is that a good part of your time is spent analyzing facts and figures as well as analyzing other peoples facts and figures. I can only just imagine how many people have analyzed our websites to see why we are making it. I know the thinking behind doing that but it doesn’t work. I know it doesn’t because it didn’t for us. We would constantly check out other peoples successful sites. We figured if their site was set up in a particular way then we should set our sites up in that way. And because they were focusing on a particular niche then we should focus on that niche. And if they were using a particular plugin then we should use that plugin. And if they were promoting their site using Facebook, then we should be promoting our site using Facebook. And if they were adding 10 posts a day then we should add 10 posts a day. And on and on it went. It was all just one big time waster….nothing more, because it got us nowhere. In fact, it just kept setting us back because we would invariably start another website or spend time on an existing site changing the format completely. These are time wasters because they don’t involve any of the three steps listed above. We had websites already so we didn’t need to create new ones and the layout on our sites were fine – changing them wasn’t going to suddenly make us more money. Remember – it doesn’t matter if you have the best looking site on the web, if you don’t have any traffic, no one is going to see it, so no one is going to buy the products you are promoting. This was a never ending cycle. If we had simply focused on one website and those three steps we would have been making money a lot sooner. But that’s all in the past now and we don’t want to dwell too long there and I can see that I am rambling on again instead of getting straight to the point which is answering our frequently asked questions so let’s get to it. Have you been hit by the latest Panda update? A few days ago we received an email from a reader telling us that there had been another Panda update. We had no idea, but then we don’t frequent forums or other peoples blogs too much these days so we are kind of secluded from what is actually going on out there. But in answer to the question, at this point in time, we haven’t been hit by any of the Panda updates. Perhaps it is because of the style of backlinking we choose. It is one of the strongest forms of backlinking in our opinion. But I’ve said this before and I’ll say it again, nobody really knows what Google is thinking so who knows what is going to happen in the future. If we get hit we will let you know. We aren’t going to bother hiding it. How long does it take to rank a keyword in the top 3 in Google? This is one of our most commonly asked questions. Most understand that it can vary but they just want an average figure to focus on. Unfortunately, it’s impossible to answer. You could have a keyword rank within 10 minutes of posting the page or it might take two years. It ultimately depends on the competition for that keyword. If there is no competition then you will rank quickly. If there is a lot of competition then it will take a while. And then of course backlinking comes into play. If you don’t do any backlinking then you will probably never rank for it. If you do a lot then you might rank in a couple of months or it could take a lot longer if the keyword is quite competitive. We also don’t know how much effort you are going to put into this so we have no way of knowing how quickly you are going to rank for a keyword. One person might rank for a keyword in 3 months and another might rank in 6 months. Which niche converts the best? Every niche converts. It’s not about the niche, it’s about the individual product in that niche. Every niche is going to have good products and bad products. Your job is simply to pick the best products – products that you yourself would be happy to buy. Do you recommend promoting electronic products? We personally don’t. Apart from the fact that they only pay very low commissions, they also change constantly. So you might have a review for a particular laptop or a camera for instance that does really well and then suddenly it is superseded with a newer model. In our view, it’s too much work to keep up with it all. How many Amazon products do you currently promote now on your blogs? We don’t know the answer to this one of the top of our heads and we really don’t want to waste time finding out. We don’t keep track of the products we promote. We just keep fixing up reviews and backlinking. We no longer look at our stats – we just don’t want to waste our time doing it. All you really need to know is that you can potentially make a full time income from just one page on the internet. A few more pages is better because you don’t want to put all your eggs in the one basket and not all pages will generate a full-time income, but it is definitely doable with just a handful of product reviews. How many keywords are you currently ranking for? Same as the answer above. We don’t check our stats often enough to know the answer. How long will it be before I make any money? Most generally see some sort of income start to trickle in around the 3 month mark but it could be sooner or it could be later. It generally starts to build and then suddenly hits a plateau. At this point, most people hit the wall so to speak. They have put so much work into it all only to receive a few hundred dollars a month. It is around this time that people start to doubt the process. They think that they must be doing something wrong so they start looking for other methods to make money or they build another website thinking that they chose the wrong niche. This is the start of the Cycle of Doom that can be difficult to get out of. Do you create a website based on just one product? We have one website based on one product but personally we don’t recommend it. The reason we don’t is that at any time the product may go out of stock for extended periods or worse yet, the company may decide to no longer manufacture it. If this happens your site is basically useless and all your hard work goes down the drain. Do you use domain names that are based on a product name? We have only one website that uses the product name as the domain name but again we wouldn’t recommend it. It’s risky using a product brand or name because at any time the company could ask you to take it down. If you are going to do it, make sure that it doesn’t become your only source of income. I have a number of websites but am not making much money. How many more do I need to make a full-time income? You only need one website to make a full-time income. The more websites you build, the more work you will have to do. Building website after website doesn’t work. It just creates stress as it is impossible to manage multiple websites effectively. This is covered fully in this blog post – The Affiliate Marketers Cycle of Doom. Lots of familiar questions listed here. I personally think there are several different ways that you can make money from your site and you need to test things out yourself. That being said there are certain must-do’s like you listed such as backlinking and getting traffic but it is very common for people to overthink IM. I am still guilty of overthinking or analyzing way too much instead of just doing it! Yes there are definitely many different ways to make money from a website – hundreds in fact. The problem is that most people want to try all of them at the same time. Stick with one thing and see it through to the end is the best way to approach it. I met some people who wanted to start off with many website (around 20-30 website) and try every thing they came across. Of course in the end they fail at doing anything successfully simply because it’s overwhelming and they are spreading themselves too thin. Hahahaha…I bought into a program over a year ago and I now have over 100 websites. I may make 30 cents a day total….that’s TOTAL. So having alot of sites don’t hit it. Paula and Wanda have it right…the stress on trying to maintain them is enormous. Have ONE website and work it…so much more fun. I think it’s something most of us are guilty of. We do want to try everything because we lack patience. We want the money to come in quickly because a lot of internet marketers tell us we can be making money overnight. When we don’t see it come in that fast we think that it isn’t working so we move on to the next thing whether that be another website or another method of making money. I so agree on the problems with having a website based on one product. I have – a great product when it is in stock!! Just been off the Amazon shelves for about 6 months. I actually thought that they had removed the product from Amazon permanently and was thinking off trying to “convert” the site to another similar product. Product is back again – but for how long! Exactly Dawn. It’s just too risky especially if it’s your only source of income. Hi Wanda & Paula, Really really awesome post :) Love it much. I know you have an Amazon guide called APP. But, do you have any interactive guide such as Private Forum or such? Now we don’t Tantan. They require a bit of work to maintain and we just don’t have the time at this point. You are totally on target with your answers, as usual! As one of those people who thought more is better, I can tell you that you cannot keep up with dozens, or even hundreds of sites. I’ve identified the areas where I want to be, and am eliminating the rest by allowing the domains to expire this year. Already a weight feels as if it has been lifted off my shoulders. It does feel good doesn’t it Tammie? We found the same thing when we started to work on just one website. It just feels like such a relief when you stop working on everything at the one time. Tammi, I let one of my domain names expire and a company that resells domains snatched it up. Rather than just let them expire, if they have good keywords in the name, try to sell the domain name…you might make a few bucks out of it. I am so glad you continually tell us to “trust the process” because we constantly need to be reminded. You have said it so much that I tell myself that when I start to wonder if I’m doing something wrong. I am so excited about things presently because I am starting to see some sales come in regularly. I’m not making lots of $$$ but it’s a start. Thank you, Paula and Wanda for always sharing so generously. Excellent Elisabeth!! I’m so pleased to hear that you are generating regular sales. This is the best time for you because you have a number of months to build now before the next Christmas season which is always amazing. I’ve been reading your blog for a long time and I can confidently say that this is your best post ever. I couldn’t agree more with what you’ve said. Sometimes in business, more is less. Sure, if you have 10 employees, it probably pays to constantly check stats and test and tweek everything. But when there’s only you, you’re time is much better spent on the things you’ve mentioned above. We constantly tell ourselves that the money is in the next method, the next product, the next website but most of the time it’s just a matter of focusing on one thing at a time and working hard. As valuable as this post is I worry that the information will still be lost on many people until they actually find it out the hard way as I have, and as I know you two ladies have. Well done on a fantastic post and all the best to you both. I love how you’ve just summed up the post above in just one paragraph. Nicely said Ben! Good Idea to do a FAQ, esp as lots of people new to IM will of course be asking the same Q’s over and over! You hit the spot with adding value, at the end of the day if you want to get paid (make money online), you have to work in order to help someone. This is the basic building block of all business. You provide something that someone wants, they will pay you (even if it is indirectly though IM). I have been blogging as a hobby for two or three years now, making enough to pay the coffee bill (with the odd meal out!) with a few links here and there. But now I would like to do more and in the end I decided to stick with what I know, so now I have started up a new site to help people become more practical around the home etc. Mostly because of the huge amount of thin content that surrounds home improvement online (not that I think it is going to be easy to rank against it!). I aim to write a few really in depth articles that will really help people get the job done. I can monetize it more later, like you say, there are lots of ways once you have a decent audience. I am supper exited really, if a one page review I wrote years ago can reliably pay my coffee bill (don’t forget that odd meal!) every month, then what can I earn if I make this my full time job?!? Nice one Ian. It’s always good to go with something you have a passion for. And if you go for quality you will naturally rank because people will want to link to you. I’ve just started getting good earnings from amazon since november last year because I started focusing on just 4 websites. One website getting more than half of my attention. The moment I stopped buying domain names on a weekly basis I started earning more. Your tips are simply golden! My question is, since I have yet to experience a whole year of good amazon earnings, based on your experience and stats – what’s the lowest earning month for amazon? Our lowest month is usually February althought we had our best February ever last month. It will depend on what you are selling as some products will sell better at certain times of the year. I totally agree with what you say in your article, the three main things to do should be able to make you money. But these days I don´t think Google are making it any easier for people, it even seems at times they go out of their way to make it harder. My Food Mixer site was ranked for at least 5 keywords on page 1 of Google and I was making money from the site. Not a lot, but money all the same. Since Thursday 8 March the site has plummeted down the serps. I haven´t changed anything on the site but it has dropped for no apparent reason. I can´t understand why this would happen and am left just scratching my head. If you have a relatively new site (ie. up to six months old) then what you have experienced is quite common. You will find that your rankings will return. This could take up to a month to occur. Just keep back linking. Hi Paula I have been following your posts here and in warriorforum for a while. Thanks for your great contributions. I want to ask you a question if you don’t mind. Which of the stuff listed above should be used along the reviews? Lastly, what kind of call to action is ideal to increase the clicks? Out of your list there, we only include the image of the product. We don’t include most of those other things because then it looks like we are simply promoting the product and most people don’t like blatant promotion. We keep it very subtle so we add an image and our unique review and then add text links in the review to the product. I think most of us are guilty of that. It’s hard not to want to try everything because we all want it to happen now. Thank you for remanding us over and over again about ONLY three components that are important in building profitable review sites. #3 is the most difficult and time-consuming task as many of us got to know. As I don’t have any yearly stats ( only monthly so far) I wonder whether the decrease of sales (yours) in February depends on decreased traffic or conversion rate? My experience is that traffic after January went down about 30 % but conversion lowered about 2 times. It will always decrease after Christmas. December is always the best month and then it will decrease in January and a little further in February and then it stays fairly stable until it starts picking up again a few months before Christmas. What do you mean by fixing up reviews – is this like a split testing process for reviews or just tacking on new bits of information to make the review more and more authoritative ? Fixing up the reviews simply means making them the best reviews you have ever written. It’s more about focusing on your readers than anything else. What would they want to see in a review? The best way to answer this is to say, ‘what would I want to see in a review if I were ready to purchase a product?’ Would I want to see a short review with very little substance or a long well researched review that tells me everything I need to know about the product? Thanks Paula and Wanda for such a wonderful Q&A. According to your experience, do social signals really play any role in getting top rankings apart from quality backlinks? Have you ranked already websites with no facebook pages involved and pages with no likes and tweets? Try not to get too caught up in what people are saying on forums. What you want is someone who has actually tested it and is able to provide valid stats that prove that yes, social networking is going to improve your Google ranking. Have you found anyone with this sort of information? If yes, then great, let us know as we’d like to see it too. My assumption is that most likely, Google is starting to factor in those sorts of signals but we can’t personally provide any proof of that. All i can say is that we have lots of pages that are ranked that don’t have likes etc. Nice post. Each person’s journey is different and this cannot be factored in. The key is to keep pressing on through trial and error. Make sure you address the errors fast enough and you should achieve success. Nicely said Neil. There are so many variables in this business and everyone is going to go about things in a different way. Excellent answer to those question! :) Thanks for sharing your thoughts with us..
That is so true Maria. If you have a passion for something then the money flows naturally. Good insight! I have found that is is the big picture that affects how successful you are; not all the little things that you get tips from different articles. I have personally wasted a lot of time trying to enforce little tips I have found along the way and forgotten to actually post good quality material on my site. I know exactly what you mean Elena. We would do the same thing. It seems that just about everyone has some sort of tip especially if you hang out at forums and it’s hard to stop yourself from trying them. I am a beginner for Amazon associate and have read your blog for a period of time. Now,I have a question about creating a website which could cost me some money or using a freeblog(such as blogger) to promote Amazon products at the start. Which option may be better for a beginner at the start? If you are brand new at all of this, then I would suggest a free blog until you decide that this is really what you want to do. A lot of people spend a lot of money at the start and then realize that this business is really not for them. This is one of the most valuable blogs for online marketing, so keep up the great work! Quick question – Do you enable comments for posts when a review has been published/live? Comments can aid the process as social proof as people will give their views on the products, however, I’ve also heard that too many comments on a review/blog post can dilute its keyword density, leading to a weaker search engine position. We don’t enable comments. They can often be a distraction for readers. We prefer them to go to Amazon and read the comments there rather than read the comments left on our site. Plus people have a tendency to complain rather than complement so you only need one bad comment left on your review and it can kill all your hard work. Thank you Paula, it now makes a whole lot of sense. Yes, unfortunately there is a perception that it is really easy to make money online. Many think that they only need to create a website and the money will start flowing in. It takes work like any business. What do you think of video reviews? Instead of creating pages of text, one would be using youtube videos. I think they are slightly easier to rank than webpages and more people tend to prefer videos nowadays. Would you try to rank a youtube video using guest posts? what SEO tactics would you use? We’ve never really done much with video reviews mostly because they take time to do. But they are a good way of enhancing a review so worth doing. I would be doing them in addition to a good quality well written review and not instead of. But that is just my opinion because I personally prefer to read a review rather than watch a video. So because you have people like me that prefer written reviews and other people who prefer video, a combination of the two is the way to go. Thank you Paula and Wanda for this wonderful post! I am finally making money because I followed your advise and FOCUSED on one website instead of trying to work on 10 different websites. I also noticed that my stress levels have dropped to zero and I’m happier and it is easier to finish my “Thing To Do” list per day! In addition, by focusing on one website with high quality content, I’ve noticed that my Alexa ranking and Google page rank has increased which is AWESOME! This makes it much easier to rank product reviews with a little backlinking. Paula and Wanda…I have one question please and I hope you can help me! My website focuses on one category of products but sometimes I do review products in another category. Does your main website focus on one category of products or do you recommend one general website with different categories of products? I discovered a ton of other products I want to promote but I don’t know if I should add it to my main website and start my own little “Amazon” site or create a new website with these products. It’s so good to hear that you are doing so well. You deserve a huge pat on the back for being strong enough to stick with just the one site. Most people just can’t do it but you’ve seen how well it works. In answer to your question, both options can work. If the products are related in some way to your main category of products then go for it. So if your site is about dog beds but you want to add products like dog collars, dog bowls, dog food and so on then it will work fine. Even if the products are totally unrelated it can still work. We have one website that focuses on a range of different products and it makes sales. Thank you Paula for such an informative post. I believe you are right when you say one can not tell how long it’s going to take to rank for a certain keyword. From my experience I sometimes set up a product and by the time it’s time to renew the domain the product is usually ranking for several long tail keywords. Wow, so many questions and answers. This helps me a lots, gives me so many advices I can’t find easily anywhere. Thanks for sharing a really helpful blog. For starters, I believe it is important to focus on one site especially that quality is very significant in generating more traffic. Many want to acquire the desired profit as early as possible and develop a number of sites. The result is, aside from needing to do a lot of work, they are also generating lesser profit compared to managing one site. I prefer managing additional sites if I am more familiar with what I need to do. Exactly Kimberley. One site is always going to mean less work and better quality content but most importantly, quicker profits! We are starting to try different things that don’t rely on Google although we have been a bit waylaid while we have been travelling. When we get back home, that is going to be our focus. Are yall okay? Haven’t seen a post from you in quite awhile now. I worry about my “friends down under” when you go quiet for so long. Hopefully you are just busy making money. Thanks of thinking of us Cathy. We have actually been travelling the world so have been a bit sidetracked. We will be back home next week and we’re looking forward to getting back to work. Glad to know that you’ve been travelling the world! That’s the joy of doing affiliate marketing eh…..work hard, and then reap the rewards big time ;). You can pretty much determine how long you want to vacation…awesome! You’ll see comments from some 700+ angry website owners, because their rankings vanished within literally 1 day. The worst part is, the majority of those angry webmasters actually do have sites with high quality and unique content, and they do white hat link building. So are all of your sites doing fine after that Penguin update? Do you have any suggestions on how we can protect ourselves (especially in terms of link building) against this update? If white hat SEO doesn’t even work, then what works?! I am just about to answer this in a post Frank so it should be up today or tomorrow…hopefully. We only just got back from overseas yesterday so still a little jetlagged but we are eager to get back into it all. Competitors in marketing world is sprouting everywhere, so its not easy to sell product. So we need to improvise our strategy from time to time. Quality back linking is very important in order to be in a placed and always generate traffic. Quality is definitely the key and for backlinks it is most important. I agree that it is important to promote quality products. It is also just as essential that we have within our blogs quality posts. We should not be careless with posting, we need to treat our audience with respect and write in a way that will interest them and keep them coming back to read more. All the bloggers have these questions in their minds.Awesome post from you.You have shared great information with us.